With so much talk focused on Predator remakes this past week, it only makes sense to have a throwback and revisit a classic that we picked up recently. 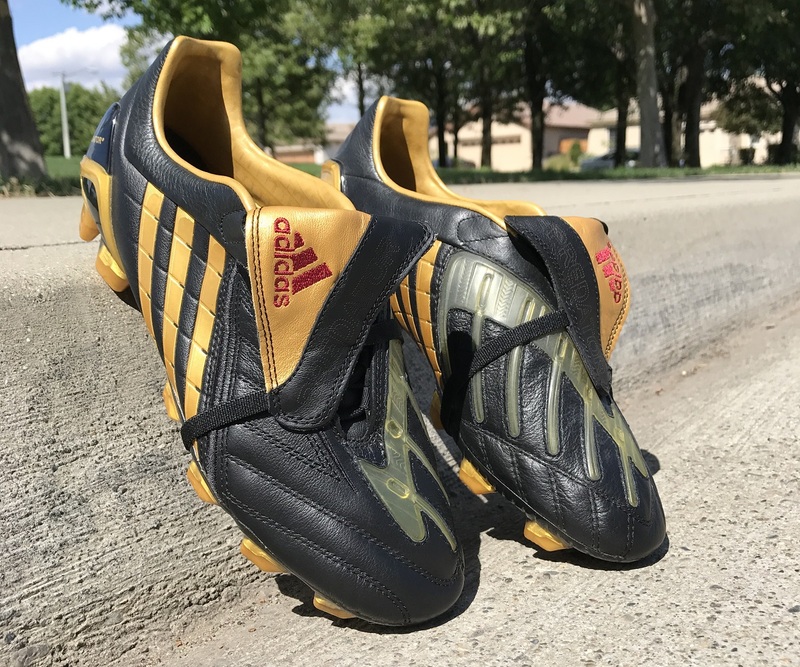 Released in 2009, the adidas Predator PowerSwerve Rome celebrated that season’s Champions League final that took place in Rome. 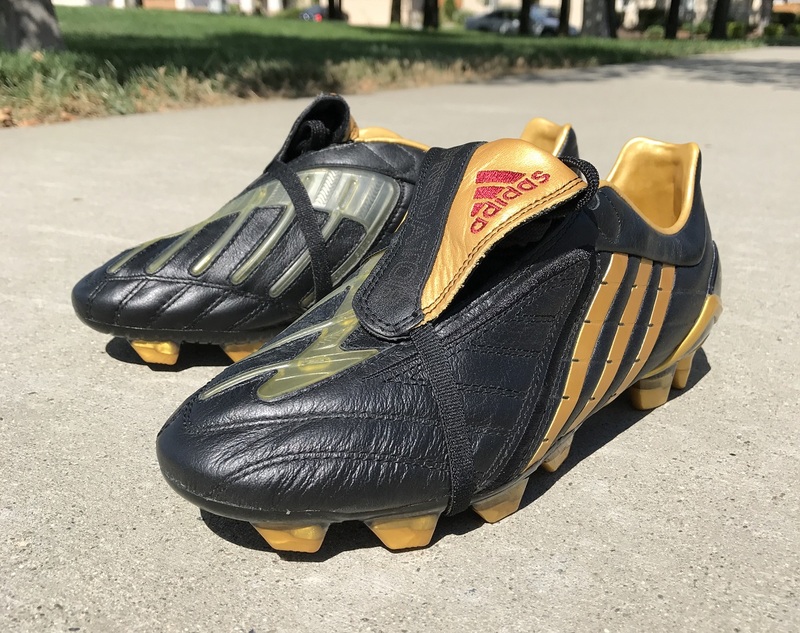 At the time of release, adidas listed these as a Black/Metallic Gold/Cardinal Red. 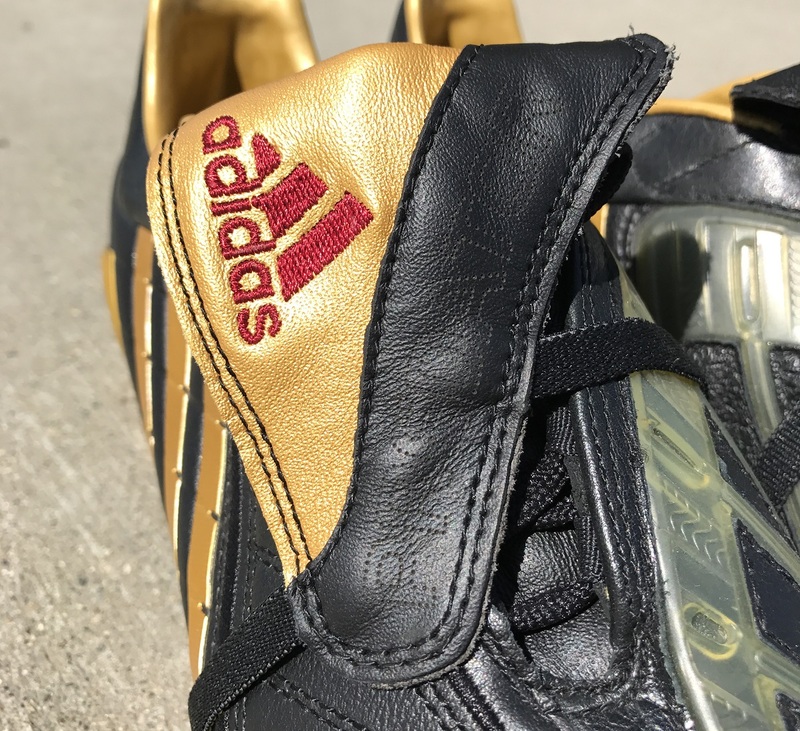 The boot starts with a supple, traditional black leather as the base and Metallic Gold is used as the feature detail color including a unique gold Colosseum style design lining inside the boot. As you’d expect from a Predator release, the PowerSwerve was designed with adidas technology to help increase power, swerve and accuracy. SmartFoam is used through the vamp area and the iconic PowerPulse system within the sole. When we talk PowerPulse, the chambers in the sole are filled with tungsten powder to shift weight when you strike the ball and help elevate strike power. In terms of design, these really grasp your attention right from the moment you open the box. 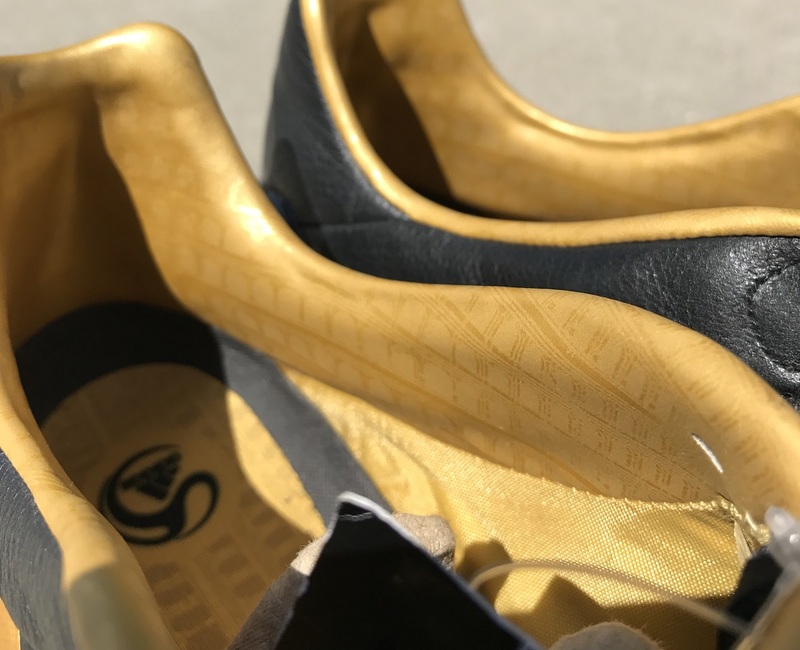 Mixing a black k-leather upper with gold detailing is something we really don’t get enough of these days. And on that note, can we just take a minute to appreciate the actual construction of this particular Predator silo? We live in a completely different era right now when boots are pieced together in a very different way. Everything about the PowerSwerve is built for power, and there is an air of invincibility about what they have on offer. 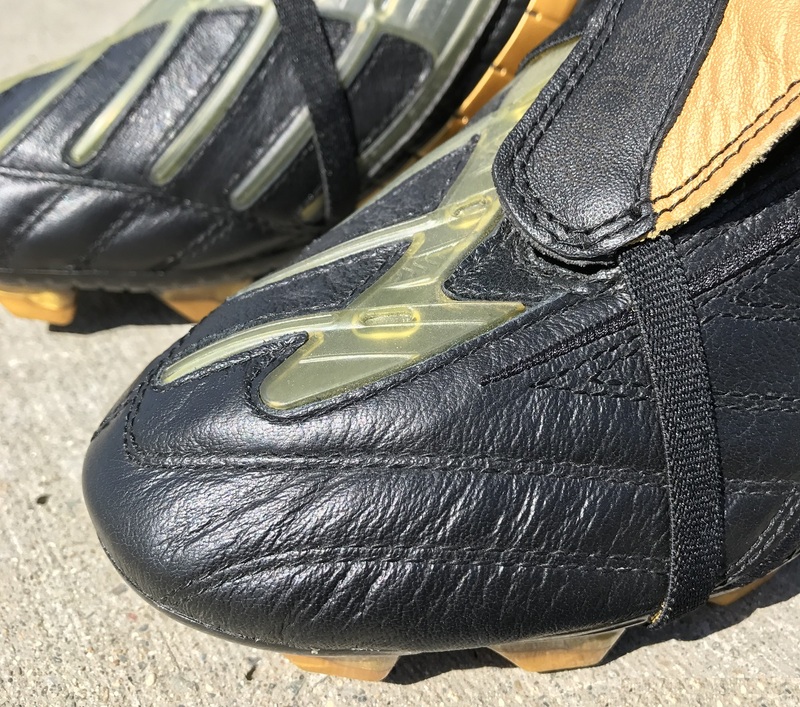 There was a definite focus on overall durability, with pairs designed to last longer than 2 months! While weight wasn’t a primary factor in the creation process (they weigh in at 10oz) no one really complained. Instead, they found ways to utilize the added elements that made them the ideal accomplice for players wanting to steal a goal every time they took a shot. The over-sized, wrap around tongue also complimented the warrior like appearance. There was no need for lightweight materials or a mid-cut collar. They played to a players strengths and provided perfect shape, form and functionality in the process. Brands now create re-releases, but rather than heading down the original route they favor more modern materials that don’t serve the same purpose. You can’t replicate a style like this, instead you can only relive what the original version had to offer. 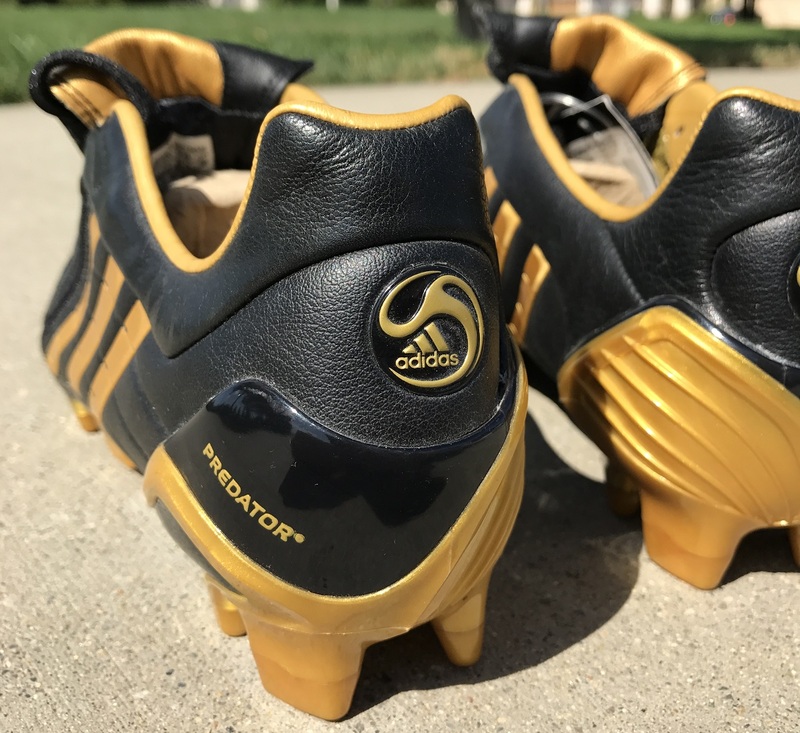 There will absolutely be a time when I break these back out to play, and I’ll make sure to enjoy every touch on the ball that I can. Until then, they are going to be safely stowed away, ready to make a roaring entrance when the right opportunity presents! If you are looking to secure a pair, the only place you will really find them is on eBay, searching for “Predator PowerSwerve Rome“. As of posting, there were two pairs available worldwide so finding a pair might take some patience and attentiveness. Alternatively, search for pairs of Predator Powerswerve and there are a lot more options to choose from! 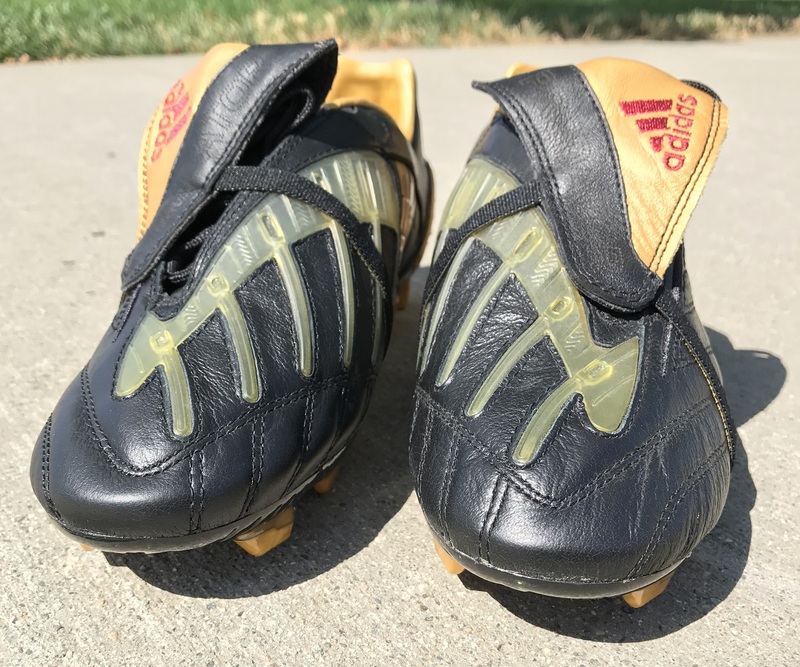 Anyone wear or currently own a pair of these boots? What are your thoughts on how they perform to more modern style releases? I’m interested to hear your thoughts and if you’d buy a pair of the originals if they were readily available. I just put my last Absolion version in to play this past week. I chose it for more durability. I have a white pair that are Beckham version and are synthetic. They smell so bad! I feel like I look once a week for some of these. Great site! hey bryan! silent reader here of your awesome blog. just read this post about you breaking out your classic predator power swerve to enjoy it. may i ask, how do you keep it in playing condition after so many years? would the glue holding the boot together dry out and crumble and lose it sticking power? would love to hear how you do it! It has a lot to do with how you store them. As long as you leave them in a dry location where the temperature doesn't fluctuate too much, they will hold up very well over time. And using some leather food on leather boots help keep that soft feel to the upper after being stored for an extended period.